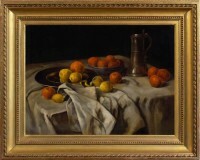 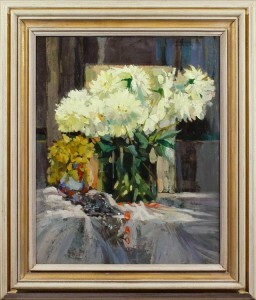 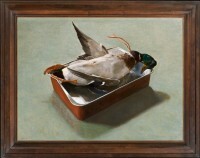 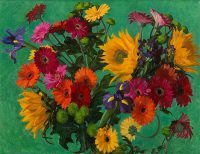 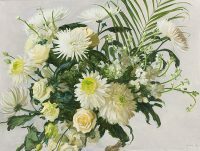 Mark Mitchell’s collection of still life paintings for sale includes many striking examples of still life art, one of the most domestic and easy-to-live-with categories of subject, and includes still life oil paintings and a variety of other mediums. 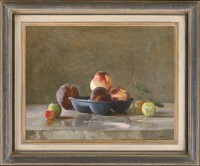 Mark specializes in Belgian and Scandinavian artists, and in the work of talented men and women who achieved success during their lives, but who have since slipped into obscurity compared with their peers. 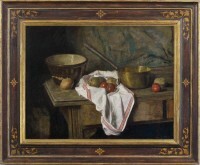 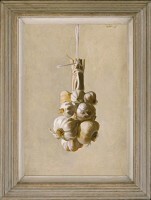 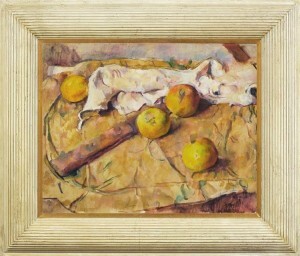 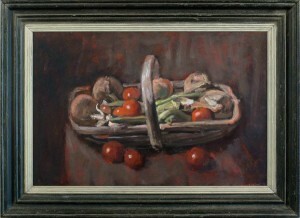 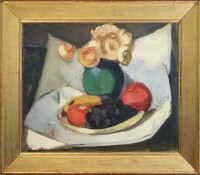 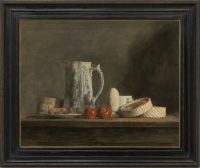 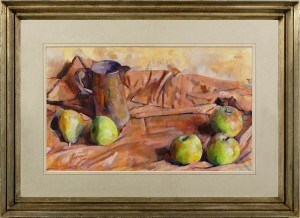 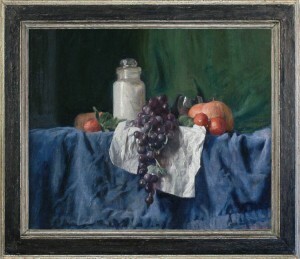 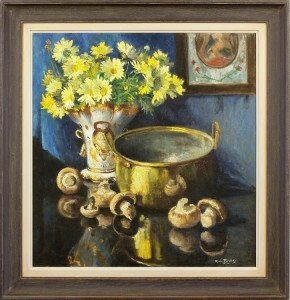 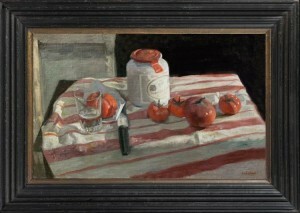 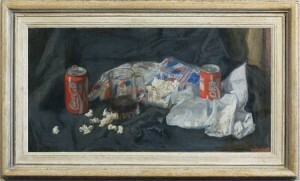 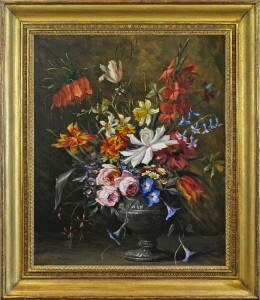 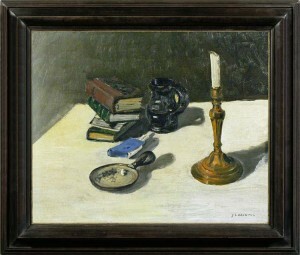 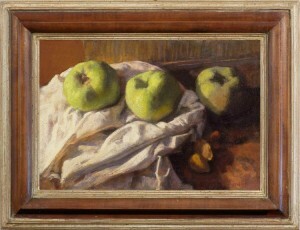 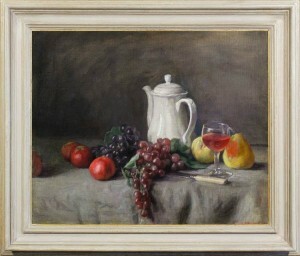 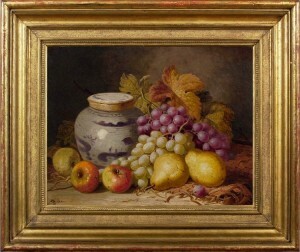 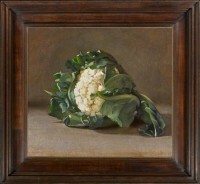 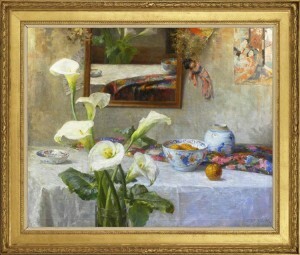 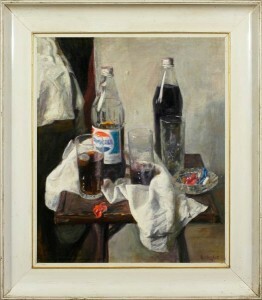 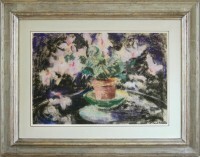 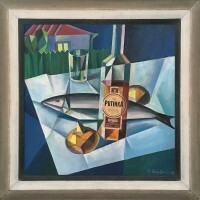 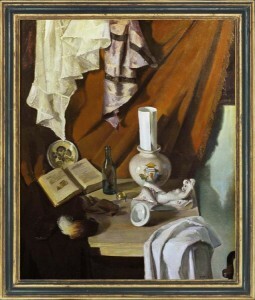 Both types provide an abundance of very beautiful still life paintings – for example, the work of Hubert Bellis, one of those still life artists whose work can be found in many public collections in Belgium and the Netherlands, but who is little known now in the UK. 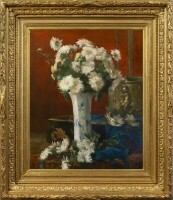 Bellis attended the Académie de Bruxelles and worked at first as a portraitist. 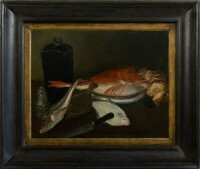 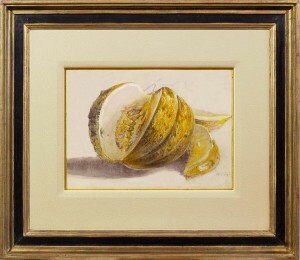 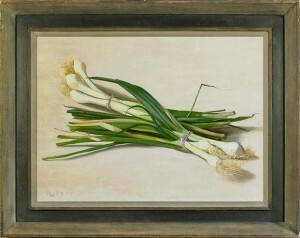 Examples of his still life subjects include arrangements of oysters and mussels in their shells, with lemons and glasses of wine or beer: these may have been used to entice customers into the bars and brasseries of 19th century Belgium. 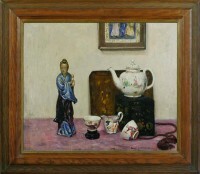 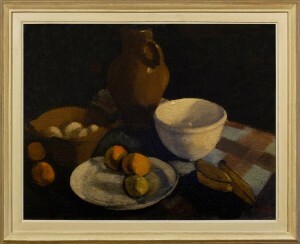 Another is Denys Wells, who studied under Henry Tonks, and alongside Steer, Orpen and Sickert. 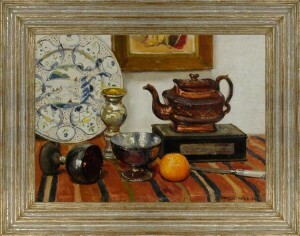 Not primarily a still life artist, Wells produced a large number of pictures charting the destruction of London during both World Wars, but seems to have relaxed by painting still life pictures which are wryly humorous, as well as opulently patterned and coloured. 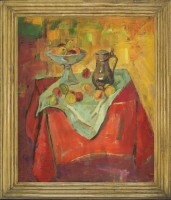 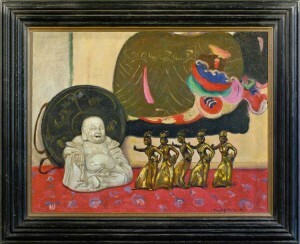 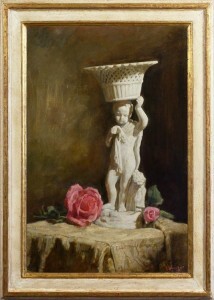 He exhibited in all the main salons of the 20th century, including the Royal Academy, the New English Art Club, the Mall Galleries and the Glasgow Institute of Fine Arts, finally being awarded the Queen’s Pension for Service to the Arts. 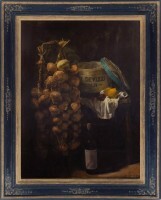 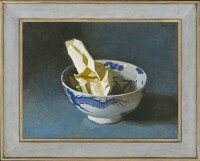 Similarly, Robert Boudry, one of three generations of figure, landscape and still life artists from Antwerp, is little recognized today – although his paintings are always immediately popular. 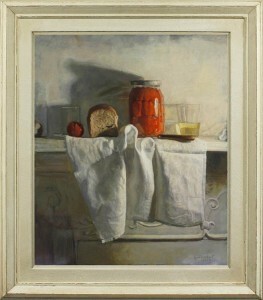 His ability to conjure effects of light, shadow and reflection is masterly.